Madonna appeared for the first time on stage at the Ultra Music Festival in Miami to introduce DJ Avicii. Together they premiered the new “Girl Gone Wild” remix by DJ Avicii. 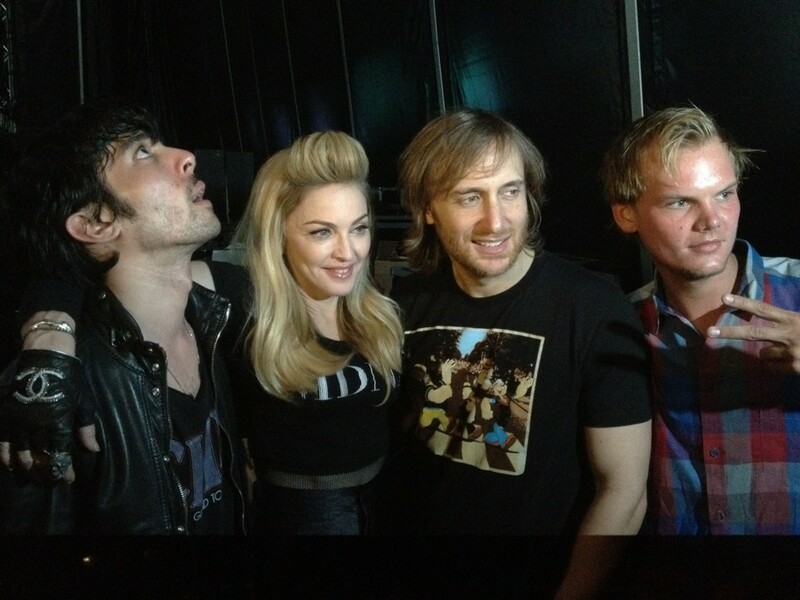 Madonna with David Guetta, Xavier de Rosnay from Justice and Avicii backstage at UMF. It seemed not everyone liked the surprise appearance.